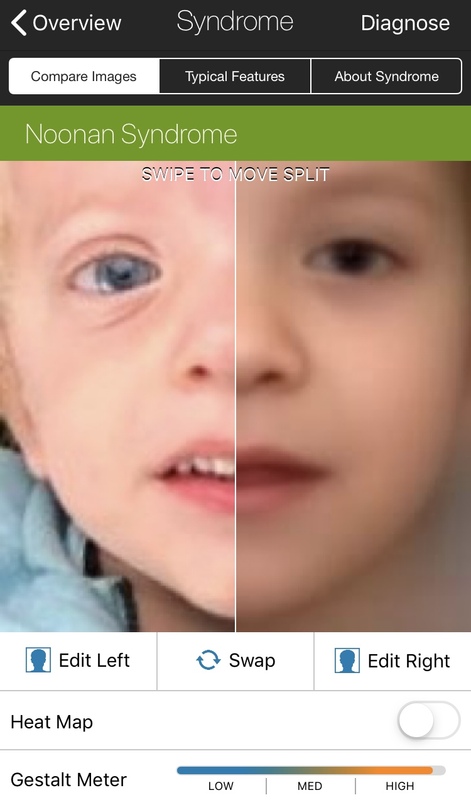 Noonan Syndrome is a RASopathy – a collection of developmental syndromes caused by germline mutations. An increased incidence of autoimmune conditions has been established within the RASopathies and one of these auto-immune conditions we will discuss in this Blog is Coeliac Disease. Whilst more research is needed regarding the incidence of Coeliac Disease (CD) in Noonan Syndrome (NS) preliminary studies have estimated the rate of occurrence at approximately 10%. This is 10 times higher than in the general population. This is an alarming statistic as many people with Noonan Syndrome may have had their ‘classic’ symptoms attributed to NS such as fatigue, gastrointestinal symptoms and failure to thrive but they are actually from undiagnosed CD! In people with Coeliac Disease (spelt ‘Celiac’ in some countries) the immune system reacts abnormally to gluten (a protein found in wheat, rye, barley and oats), causing small bowel damage. 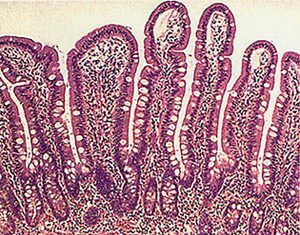 The tiny, finger-like projections which line the bowel (villi) become inflamed and flattened. 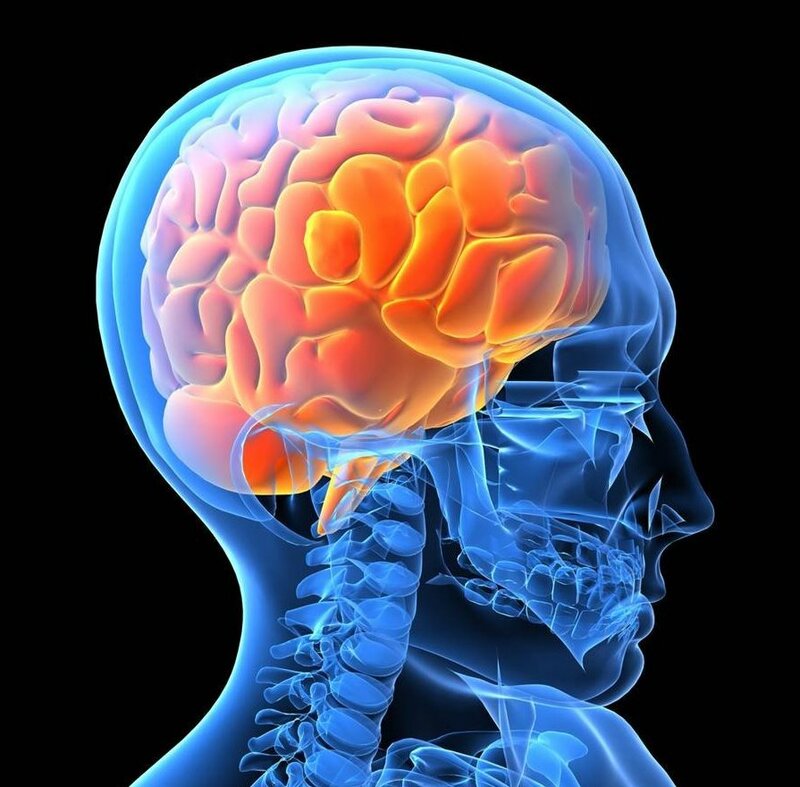 This is referred to as villous atrophy. Villous atrophy reduces the surface area of the bowel available for nutrient absorption, which can lead to various gastrointestinal and malabsorptive symptoms. 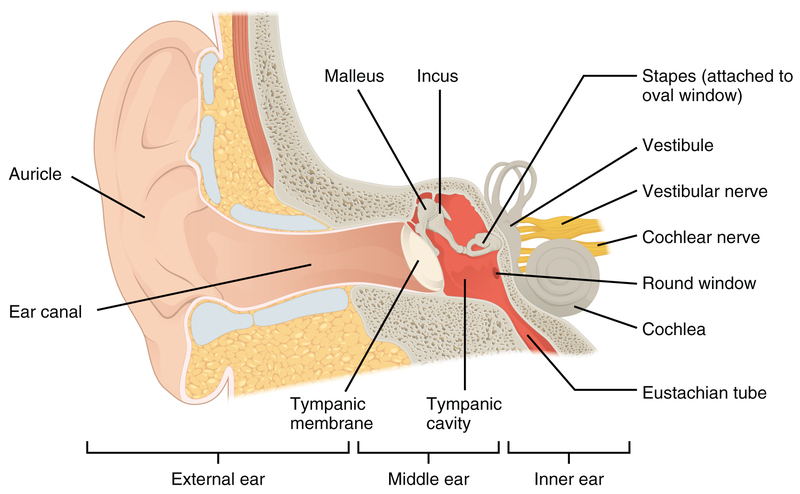 Symptoms can also be caused by inflammation in other parts of the body. A number of serious health consequences can result if the condition is not diagnosed and treated. How common is Coeliac Disease (CD)? CD affects people of all ages, both male and female. You must be born with the genetic predisposition to develop CD. The most important genes associated with susceptibility to coeliac disease are HLA DQ2 and HLA DQ8. Either one or both of these genes are present in the majority of people with coeliac disease. While 30% of the population carry one or both of these genes, only 3% of these people will get CD – this low rate of genetic expression is why environmental factors play an important role in triggering coeliac disease in infancy, childhood or later in life. A first degree relative of someone with coeliac disease has about a 10% chance of also having the disease. If one identical twin has coeliac disease there is an approximate 70% chance that the other twin will also have coeliac disease (but may not necessarily be diagnosed at the same time). CD occurs in 1% of the general population. Whilst more research is needed regarding the incidence of CD in NS preliminary studies have estimated the rate of occurrence at approximately 10%. This is 10 times higher than in the general population. Can Coeliac Disease be cured? People with CD remain sensitive to gluten throughout their life, so in this sense they are never cured. However, a strict gluten free diet does allow the condition to be managed effectively. A strict, lifelong gluten free diet is currently the only recognised medical treatment for CD. By removing the cause of the disease, a gluten free diet allows the small bowel lining to heal and symptoms to resolve. As long as the gluten free diet is strictly adhered to, problems arising from CD should not return. Relapse occurs if gluten is reintroduced into the diet. A child who is regularly “out of sorts” or generally unwell. What are the long term risks of undiagnosed and untreated coeliac disease? 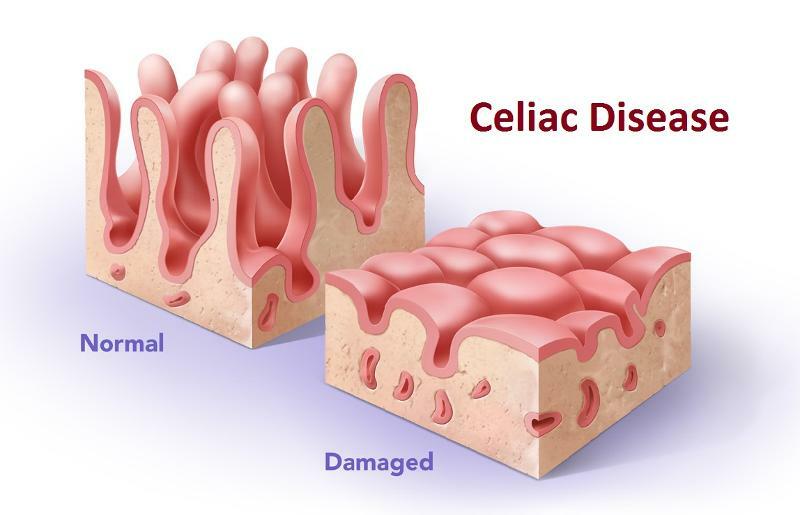 The long term consequences of untreated coeliac disease are related to chronic systemic inflammation, poor nutrition and malabsorption of nutrients. Indeed CD may be responsible for many of the symptoms attributed to Noonan Syndrome in as many as 10% of people with NS! As you can see above there are many common features (or ‘co-morbidities’) between CD and NS. This means that many people with NS may be suffering from these conditions unnecessarily if they or their health professionals assumed it be related to their Noonan Syndrome and not correctly diagnosed and treated. Fortunately, timely diagnosis of coeliac disease and treatment with a gluten free diet can prevent or reverse many of the associated health conditions. These tests detect auto-antibodies the body makes as part of an immune response to dietary proteins it considers toxic (such as gluten in this case). Positive antibody tests alone are insufficient to diagnose coeliac disease and confirmation of the diagnosis by gastroscopy and small intestinal biopsy is needed as it is possible to have a positive blood test and not actually have coeliac disease. Please note that these tests are only reliable if the individual being tested is regularly consuming gluten. The problem with Coeliac Serology in Noonan Syndrome patients is that many people with NS have Hypogammaglobulinemia (low immunoglobulins). This can make the IgA related Coeliac blood tests generate false negatives and people will continue to consume gluten and suffer the symptoms of CD thinking they are just part of their NS. For this reason it is important to have the DGP-IgG test performed as this test has better accuracy for detecting CD in patients with immunoglobulin deficiency. Why is Coeliac Disease more common in Noonan Syndrome? A large number of genetic syndromes including the RASopathies are associated with immunodeficiency. The rate of autoimmune disorders within NS is very high – approximately 52%. The occurrence of immunodeficiency with other organ system involvement in NS could result from four underlying mechanisms. First, a mutation of a gene involved in the function, regulation, or development of both the immune and non-immune systems could occur. Alteration of the activity or structure of such proteins could cause dysfunction in both the immune system and another organ system. Second, a gene critical in the development of one of the involved systems could be closely linked to a gene important for the immune system. Thus a gene deletion or mutation would affect both genes. Third, insults at crucial times in embryological development could affect more than one organ system if both were developing at that time. Fourth, abnormalities in bone or thymic development could cause improper development of immune cells by providing an inhospitable environment. Coeliac Disease is far more common in people with Noonan Syndrome than the general population and non-diagnosis is common as both conditions share many common symptoms. The link between CD and NS was reported as long ago as 2004 but unfortunately to this date no large clinical studies have been conducted. The few small studies that have been performed consistently found a higher incidence of CD in NS (10% as opposed to 1% in Non-NS population). The NSAA is currently working to recruit and design a study to properly assess and quantify the true incidence of CD in NS. If you would like to register for this research please contact us here. In the meantime it is imperative people with Noonan Syndrome make their health professionals aware of this link and the factors that can lead to under diagnosis of CD in NS as discussed in this Blog. In fact some researchers have called for CD screening to be performed on all individuals with NS and the NSAA supports this initiative. We will be drafting new Clinical Management Guidelines to include Coeliac Serology Screening and they will be available in our ‘Resources’ Section here. If you have any questions regarding CD or are experiencing any of the aforementioned CD symptoms and want to talk to us you can reach us here. El-Hadi, S.(et.al.)(2004). 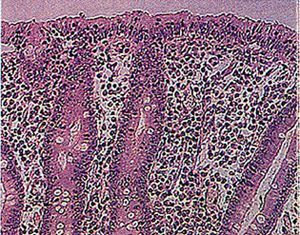 Unrecognised coeliac disease is common in healthcare students. Archives of Disease in Childhood. Vol. 89 (9). 842. Ming, J.E., Stiehm, R.E. & Graham, J,M. Jnr. (2003) Syndromic Immunodeficiencies: Genetic Syndromes Associated with Immune Abnormalities. Critical Reviews in Clinical Laboratory Sciences, Vol. 40 (6), 587-642. Quaio, C.R. (et.al) (2012). Autoimmune disease and multiple autoantibodies in 42 patients with RASopathies. American Journal of Medical Genetics. Vol. 158A (5), 1077-1082. Sarkozy, A. (et.al).(2004). Clinical and molecular analysis of 30 patients with multiple lentigines LEOPARD syndrome. Journal of Medical Genetics. Vol. 41 (5).